Just found out that i have a drug test coming up. unsure of the date. I just came back from vacation where I smoked small amounts of marijuana over 5 days. Last day I smoked was 6/11/17. Prior to that I had not smoked in maybe 3 months. 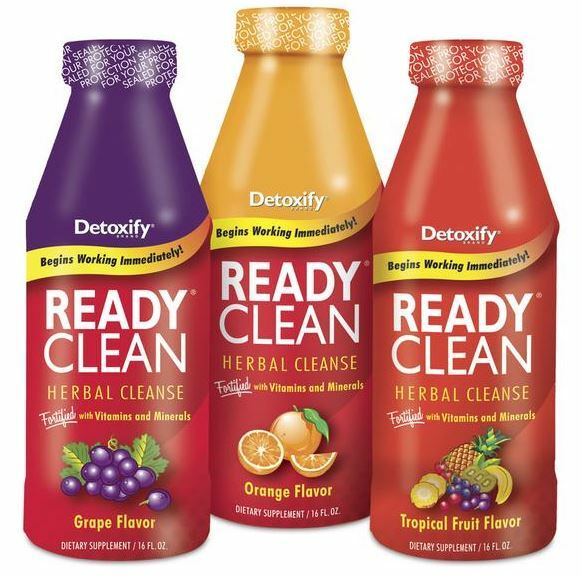 I am considering using ready clean detox. If i took two doses over the week and weekend and continued to hydrate would this help my chances of passing a test in 10 days? Karl..After smoking marijuana for 5 days you might test positive for THC for up to 10 days since your last use if you do not carry extra weight and exercise regularly. Taking two doses of Ready Clean would be a waste of money since it is a dilution product and meant to be used on the day of the actual urine drug test. Peak performance for most dilution drinks is the 3rd hour after consumption. We recommend testing yourself if possible before your actual test to ensure that you can pass. If you keep abstaining and start exercising, visiting a sauna and eating healthy, you will have a good chance of detoxing naturally in 10 days. If you still test positive then, the Ready Clean should be able to drop your THC levels below cutoff levels. Don’t forget checking where you stand with a home urine drug test in one hour after drinking Ready Clean. Hi, I have been smoking the past month on and off and I have a drug test next month but I have been clean for a week and a half and I was wondering if this product is a temporary cleanse or a one and done cleanse? Do you think if I use this product I will pass a test? Also my test is in the time frame of 20-25 days. Michael..Ready Clean is a dilution drink, not a detox product. This is why it should only be taken on the actual drug test date. Without knowing more details about your smoking history during last 3 months, Bio and life style, it is tough to say when you will become clean. If you need a detailed reply, please come back to me with the above mentioned details and I will be able to provide a more accurate answer. So I haven’t smoked in 24 days and I have a test tomorrow , prior to that I was a very heavy smoker but I’m 5 3″ and only weight about 100 pounds . Should I be good for the test ? Jordyn..I am afraid that there is a good chance that you might still test positive for THC. If you take a home urine drug test tonight, you will know your outcome tomorrow. I wish I could give you better news. Good luck with your test and let me know it went. So I’m about 5’1 weigh probably about 150 or less I have a drug test Wednesday today is Monday I’m gonna take ready Clean tomorrow I smoke everyday amd hit a blunt a few times a day I just smoked now and I’m not gonna smoke tomorrow do you have any advice to help me pass? Brittany..Unfortunately none of the existing detox or dilution products on the market can help you pass the urine drug test on Wednesday or Saturday. I would recommend rescheduling the urine drug test for some time (at least for 25-30 days). This will give you a chance to detox properly. If you cannot reschedule, we have seen that some heavy users try using synthetic urine in emergency situations, if the urine drug test us unsupervised. Angel..Unfortunately none of the dilution drinks like Ready Clean can help you to drop your THC levels below cutoff levels in 2 days. So, your chances of passing the urine drug test with Ready Clean are very low. We have seen that some heavy users try using synthetic urine for emergency situations if the urine drug test is unsupervised. Good luck with your test and I wish I could give you better news. Hello. I was clean from marijauna from 2015 until 07/31/2017. I smoked about 1g a day for the first 13 days in Aug. I stopped from Aug 14 -17 and smoked 1g a day again from Aug 18-21. I havent smoked again since and I have to take a supervised urine test on Sept 8, which gives me 16 days to get clean. I eat somewhat healthy, haven’t worked out much, drink Acv every morning, drink a lots of water, and I weigh 250lbs. If I purchase ready clean for the day of the test, continue to drink a lot of water, sit in my at home sauna, body brush, do castor oil packs, detox foot pads from now until the day of the test, and eat fairly healthy do you think I will be ok? Marlee..You can test positive from 30 up to 45 days since your last use. So, I am afraid that your THC levels will still exceed the cutoff levels on the 8th of September. Ready Clean dilution drink won’t be effective enough in your case. If you would like to speed up the natural detoxification process, you might consider completing a 10 day whole body detox program combined with light aerobic exercise, using your at home sauna, drinking plenty of water and eating healthy foods (no sugar or fats). You should avoid drinking alcohol and smoking cigarettes as well. Please read more details about the program here. Don’t forget checking yourself with a home urine drug test after completing the 10 day detox program. This will show where you stand. If you still test positive, you might need extra days of the detoxing program, or use a dilution drink on your actual drug test day. Marlee..Consuming green smoothies and eating healthy will be helpful in your situation. However, unfortunately this will not speed up the natural body detoxification process enough. If you still test positive on a home urine drug test a couple of days before the urine drug test, the only option left would be rescheduling the test if you can. Hi I am 31 year old male, I was a heavy user around 3-4 blunts a week. I have been clean for 21 days so far. I also go to the gym and around 4-5 times a week, I make sure to do at least 15-45 minutes of cardio on the treadmill.I consider myself a fit individual. I have been drinking 3-4 regular sized bottles of water. When do you think I should be clean by? If I take this drink when should I before the urine test for weed? Luis G..You might test positive for THC from 25 up to 40 days since your last use if you don’t carry extra weight. Your regular exercising routine will definitely speed up your body’s detoxification process. I would recommend adding a healthy diet and visiting a sauna to your routine. Ready Clean should be taken on your actual drug test day. Usually Ready Clean might help to drop the THC level in your body below the cutoff level for a specific short time up to 5 hours after you drink it with being the most effective in 3 hours. And be careful with drinking too much water as you might end up failing your test because of an over diluted urine sample. Good luck with your test. And let me know if you need more help. i smoke everyday but quit today. drug test in 3 weeks will it help? Dpayne..Unfortunately Ready Clean won’t be effective enough in your case because your very prolonged and heavy THC exposure. 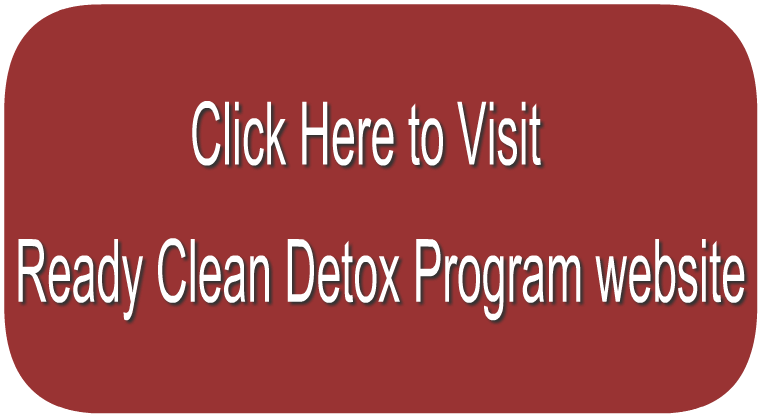 Usually heavy users in order to significantly speeding up their natural detoxification process need to complete at least a 10 day whole body detox program. Please read details about the program here. I haven’t smoked in five days and I don’t weigh much less than 150 pounds, but the days before I stopped for five days I was a heavy smoker and I have a urine test today in two hours I also already drank the ready clean and lots of water behind it… what do you think my chances are? Joe..I am afraid your chances of passing the urine drug test are pretty low. If you checked your THC levels before you went to the test, you would have already known the outcome of you test. Good luck with your test results and I wish I could give you better news. So I have a drug test on the 21st, I am 105 lbs female and stopped smoking on the 21st of the previous month. Before i stopped, i smoked about 2 times a day every 5 days for about 4 months maybe 5. I was going to use mega clean but the guy at the store said I am too small to use that, so recommended the 5 day cleanse option, so i bought it. I started it today, 11/10 will i be okay for my drug test in the 21st? I am pretty healthy, eating fruits and vegetables everyday and moderately exercising. (although i have a high amount of body fat). I do plan on working out intensively with lots of cardio everyday until my test. Makenna..You might test positive for THC from 35 up to 65 days since your last use. As you didn’t mention what detox product you bought, it is hard for me to say how effective this detox product will be. In cases like yours, in order to speed up their natural body detoxification process, we usually recommend heavy users completing at least a 10 day whole body detox program combined with light aerobic exercise, visiting a sauna, drinking plenty of water and eating healthy foods. Please read more details about the program here. Mega Clean might be helpful if you still test positive after completing a 10 day detox program and need some help to drop your THC levels below cutoff levels. As Mega Clean is a dilution drink, it should be taken on the day of your drug test. Samantha..Ready Clean detox drink should be taken on the drug test day as it is only effective for 5 hours. So, unfortunately if you took Ready Clean already, this will not increase your chances of passing the urine drug test tomorrow. I would recommend checking with a home urine drug test your THC levels tonight. This will show where you stand and what you should do next. If you still test positive, you might try rescheduling your test if you can. If you cannot reschedule you might try using Ready Clean again. Don’t forget checking your THC levels with a home urine drug test in one hour after taking Ready Clean. This will show if you can pass it or not. Male 210 heavy smoker. Stopped about 3 months ago. Took home urine test. Guess passed, had faint line. Wondering if 7 day detox would help. Lab test in a week. Cut off 50ng – 15 ng. Sam..I would recommend taking a couple home urine drug tests to insure consistent results. If you get a solid negative line, this means that your THC levels have already dropped below cutoff levels. So, you shouldn’t have problems with passing the actual drug test. If you keep getting a faint line, to be on the safe side, you might consider 4-5 day whole body detox program. Please read more details here. And don’t forget checking where you stand with a home urine drug test before the actual drug test. This will show if you can pass it or not. So i have a test tomorrow i took a couple dabs on sunday but before sunday i i was clean for 6 days. I weigh i 160 should i be worried? Juan..I am afraid that there is a good chance that you will still test positive for THC by the time of your drug test. I would recommend checking your THC levels with a home urine drug test tonight. This will show if you can pass it or not. Darrell..Ready Clean is only effective during a short period of time (max 5 hours). This is not a detox drink. The main principals behind the product are to dilute the urine and add necessary vitamins and minerals. If you would like to significantly speed up your natural body detoxification process, you might consider completing at least a 10 day whole body detox program combined with light aerobic exercise, healthy diet, visiting a sauna and drinking plenty of water. Please read more details about the program here. JM22..According to the Ready Clean detox instructions, you have to urinate as often as possible to flush out toxins. So, I am afraid that your approach won’t help to drop your THC levels significantly. And besides, Ready Clean is only effective for a maximum of 5 hours. 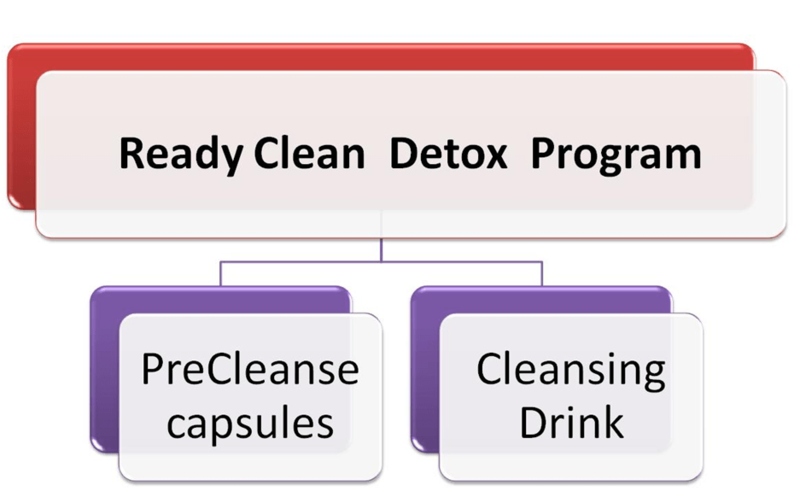 Any detox drinks like Ready Clean should be taken on the drug test day, at least one hour before the test. Nicky..Without knowing your smoking history for the last 3 months, it is tough for me to provide an accurate answer. I would say if you were a heavy user before December 11, you might still have a pretty high THC level despite only smoking 3 times during last month. I would recommend checking your THC levels with a home urine drug test on the night before your urine drug test. 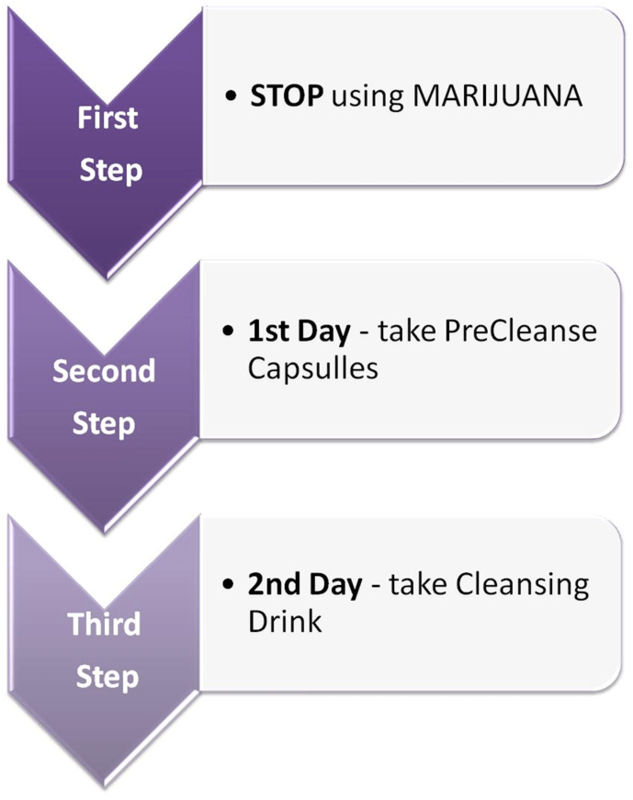 This will show where you stand and what you should do on the day of your drug test. If you still test positive then you might consider using Ready Clean on the day of your drug test. I’m not a heavy smoker at all, So I smoke a blunt last week wed. Feb28, 2018 because I graduated job corps I took a few hits and before that I smoked the week before that on a weekend Saturday night just a couple hits , then before that I haven’t smoke in like two weeks, I have a drug test coming up in a few hours march,7,2018 for a job at HomeDepot I’ve been drinking more than 16oz of water a day and drinking vinegar with water and eating a lot of fruits, I bought a ready clean detoxify drink I haven’t drank it yet waiting for a couple hours before my drug test to use it you think I’ll pass ? Rissa..If you smoked once a week during the last 3 months, you might test positive for THC up to 4-6 days since your last use. So, in this case, your chances of passing a urine drug test should be pretty good unless you over diluted your urine sample by drinking too much water. I always recommend checking your THC levels with a home urine drug test before your actual test. This will show if you can pass it or not. Sorry this may not have arrived in time to help but I wish you the best with your test and results. Andrew..With your THC exposure you might test positive for THC up to 30 days since your last use. Using any detox drinks like Ready Clean before the drug test date does not increase your chances of passing the urine drug test. So, as you still test positive, you might consider taking on you drug test day another detox drink (try Mega Clean, one of the strongest). Checking your THC levels in one hour after taking the detox drink will show where you stand and what you should do next. I have drug test today at 1:45 i took the ready clean drink at 11:45 folowed instructions i smoke weed like a hand full of times in the past month like not much prob like 5-6 times should i pee clean as long as i frequently pee out the toxins before drug test ? Curtis..If you don’t carry too much extra weight and didn’t smoke much during the past 3 months, Ready Clean might be helpful enough to drop your THC levels below cutoff levels. I always recommend checking where you stand with a home urine drug test in one hour after taking Ready Clean. I was a heavy smoker for years…I didn’t smoke for 45 days but i messed up and smoked a g (of mids, not good weed at all just throughout a 22 hour period) 2 weeks ago. I haven’t smoked since. I could have a test next week, giving me around 18-19 days since the g of mids. I am 6’3 190 and athletic, I lift or play basketball every day. Do you think Ready Clean could work for me? Simeon..I think your THC levels might still be pretty high after smoking heavily for years. 45 days of abstaining was a good start, but smoking 18 days ago was not in your best interest. I would recommend completing at least a 4-5 day whole body detox program plus using Mega Clean on your drug test day. Please read more details about the detox program here. Don’t forget checking your THC levels with home urine drug test in one hour after taking Mega Clean. I have a test in 6 days. Currently, it’s been 10 days since I last smoked, but during that time I was smoking pretty heavily. Blunts and joints multiple times a day for the span of about a month. Prior to that month, I was completely clean as it had been 14 months since I last smoked. I’ve never failed a test after 14 days, but I’m still failing at 10 days as I tested my first pee this morning. Tomorrow, I plan to test mid-stream late afternoon and see where I am at 11 days. On the bright side, I’ve always been in great shape. I workout 5 times a week. 5’11 195 lbs. And for the most part, I eat pretty healthy with the occasional bad meal mixed in. Skyfall..Thanks for sharing your story. It looks like your very active and healthy life style plus fast metabolism has helped you detox from THC very quickly. However, you still have a good chance to test positive for THC in 6 days because of your recent heavy THC exposure. If on the night before your test you still test positive, on your drug test day you might consider using a detox drink like Mega Clean. Keep me updated and good luck with your test. Hey! So before the end of the 2017 i smoked every day for about 5 months prior. I stopped the frequent use at Christmas, and since then it was about twice a week. Now i stopped cold Turkey about 4 weeks ago, however i smoked one joint 4 days ago. Im very thin but out of shape. If i had a drug test in a week what would you suggest? Nick..I think you might test positive for THC for up to 10 days since your last use. I would recommend checking where you stand with a home urine drug test in a couple of days and on the night before your test. If you still test positive, on your drug test day you might consider using a detox drink like XXTRA Clean. Don’t forget checking your THC levels again in one hour after XXTRA Clean. This will show if you can pass it or not. Bought this product in a pinch for a random job that found my resume and wanted to pay me $12 more dollars on the hour and wanted to drug test me today, so I could start in two weeks. I failed a test kit I bought and decided to try and figure out a way to pass so I didn’t lose out on a lifetime opportunity to have my dream job and make a significant amount more than I do now. I had quit smoking a week before and with this product, my almost 0% body fat, and a bit of hoping and praying; I passed my test with flying colors. As long as you follow the directions and take a quick home test to make sure it is working, you’ll pass. Bradley..Thanks for your detailed feedback. I am glad that this product worked for you. I have drug test tomorrow. I stopped smoking last Wednesday. I got the ready cleanse drink. I smoke a cap pen but it’s mostly CBD and 1.6% THC. I had only been smoking for 2 weeks. Do you think the drink will help me? Ashley..With such a low % of THC, your THC levels might not exceed the cutoff levels. I would recommend checking where you stand with a home urine drug test tonight. 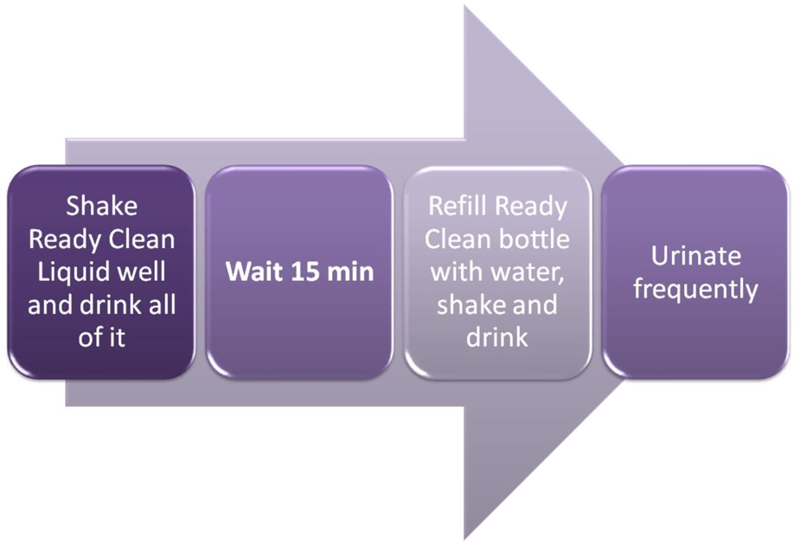 If you test positive, on your drug test day you might consider taking a Ready Clean drink. By using a home urine drug test in one hour after taking Ready Clean will show if you can pass it or not. Does this work for EtG testing? Susie..We have not seen any definitive proof that Ready Clean will help to pass an ETG test. However it is a dilution product and should still work to this effect. As the detection period of ETG (Ethyl Glucoronide) in urine is generally up to 80 hours after ingestion, I would recommend abstaining from alcohol for 80 hours before your urine test. This will greatly increase your odds of passing your test. I smoked about 6 two hit bowls over 3 days after not smoking for 6 months. I have exactly 14 days from the last time I smoked until my drug test. Should I get Ready clean or will I be fine? Anony..I think you have a good chance to being clean by now. I would recommend checking your THC levels with a home urine drug test today and go from there. If you still test positive, you might consider using Read Clean on your drug test day. Been 26 days drug free from last bowl of hemp. Took 4 home drug test. 1st 21st day invalid. Maybe too much urine. 2nd also 21st day failed. 3rd and 4th 22nd day passed. Plenty of water refrain from sweets lost 8- 10 lbs body fat. Day of test followed ready clean directions except for refilling bottle. Tho consumed 16ox bottled water. Tested 1 1/2 hrs into optimal time zone. Andy..I am glad that Ready Clean was effective enough in your case. Congrats with your test results. I am a regular user of about a bowl or two a day. I have stopped smoking for 10 days now and have been drinking lots of water along with precleanse pills for 3 day . I plan on using mega clean before my test in 2 days. I will have abstained for about 12 days total? Thoughts on passing basic urine test?? Aric.. I am afraid that your chances of passing with Mega Clean will be about 30/70 because of your prolonged heavy THC exposure. I would recommend rescheduling your test if you can or taking a chance with Mega Clean. Don’t forget checking where you stand with a home urine drug test in one hour after taking the drink. This will show the outcome of your test. We have seen that some users try using synthetic urine as their back up plan, if the urine drug test is unsupervised. You might consider a practice run with Mega clean to see if it will dilute your THC exposure enough to pass. It would cost you a bit more but at least you would know. Don’t forget to get a few extra home urine tests to monitor your progress. Check yourself an hour after you drink it to see what it will do for you. Britt..First, smoking 1 or 2 bowls a day is considered a heavy THC exposure. So, I am afraid that your chances of passing your urine test on Wednesday using any detox programs or drinks are pretty low. I would recommend rescheduling your test if you can and completing at least a 10 day detox program. If you cannot reschedule, we have seen that some everyday users try using synthetic urine, if the urine drug test is unsupervised. I didn’t smoke all last year and just started back smoking two weeks ago. I haven’t smoked since Sunday . And I have a drug test Friday … I have been taking niacin , azo , ans deinkjng water and grabbed this for test day . What are my chances? I got a bottle to try out tonight and a at home test . Sneak..If you didn’t smoke too heavy during last two weeks and don’t carry extra weight, using on your drug test a detox drink Ready Clean should be helpful to drop your THC levels below cutoff levels. However, if you carry extra weight, you should consider using Mega Clean drink. George..If you keep abstaining from marijuana until your test, you should not have any problems with passing your test on Feb 19. I would recommend checking your THC levels with a home urine drug test if 4-5 days. This will show where you stand and what you should do next.